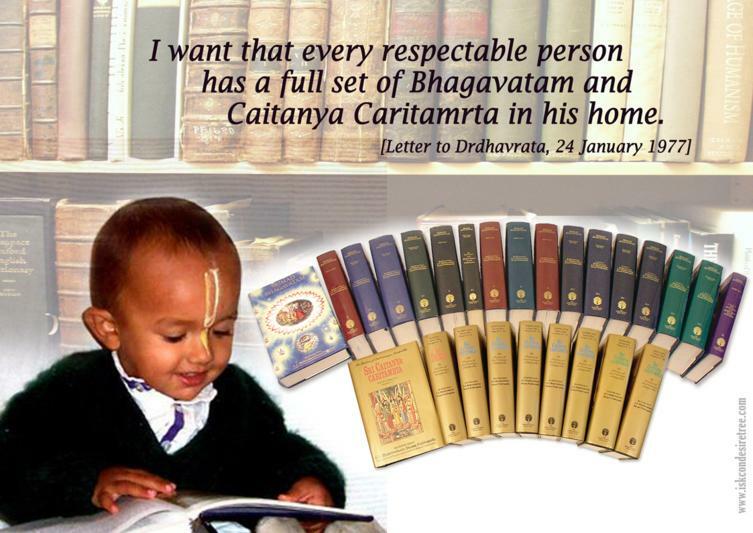 I want that every respecatable person has a full set of Bhagavatam and Caitanya Caritamrta in his home. 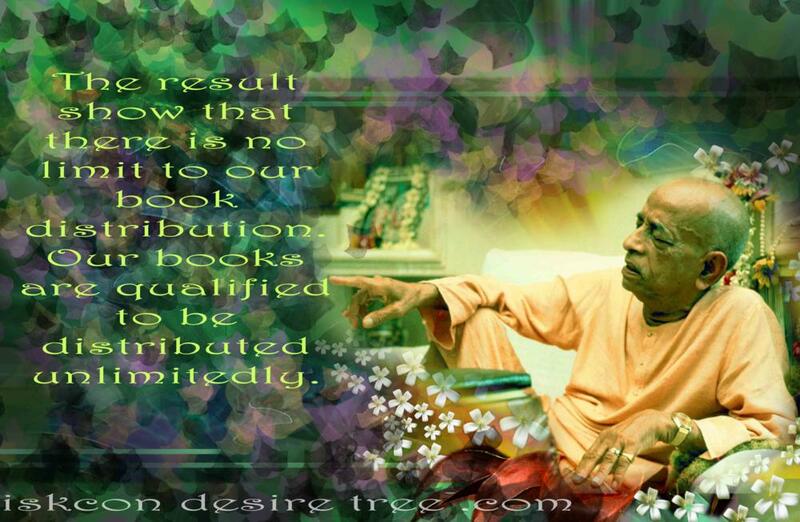 The result show that there is no limit to our book distribution. Our books are qualified to be distributed unlimitedly. 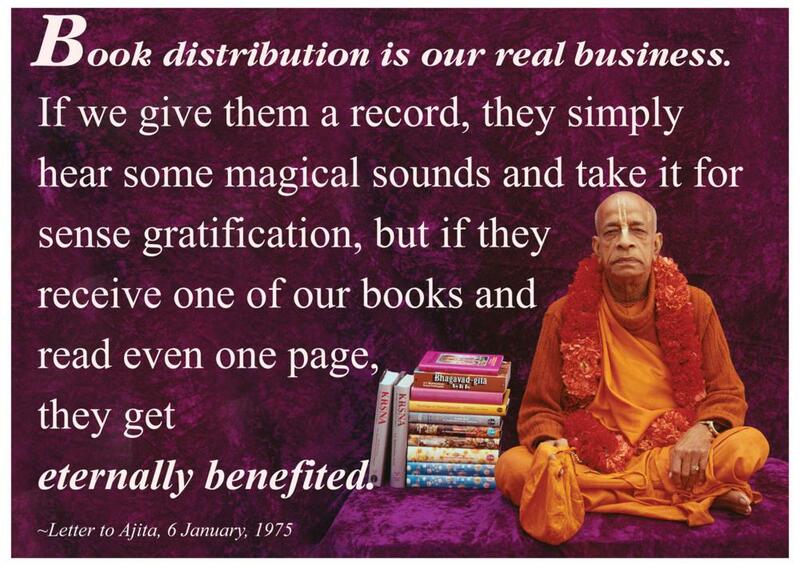 "DISTRIBUTING THE BOOKS WILL MAKE DEVOTEES"
The most important aspect of our preching is kirtana. Induce people to chant, that is the only thing. 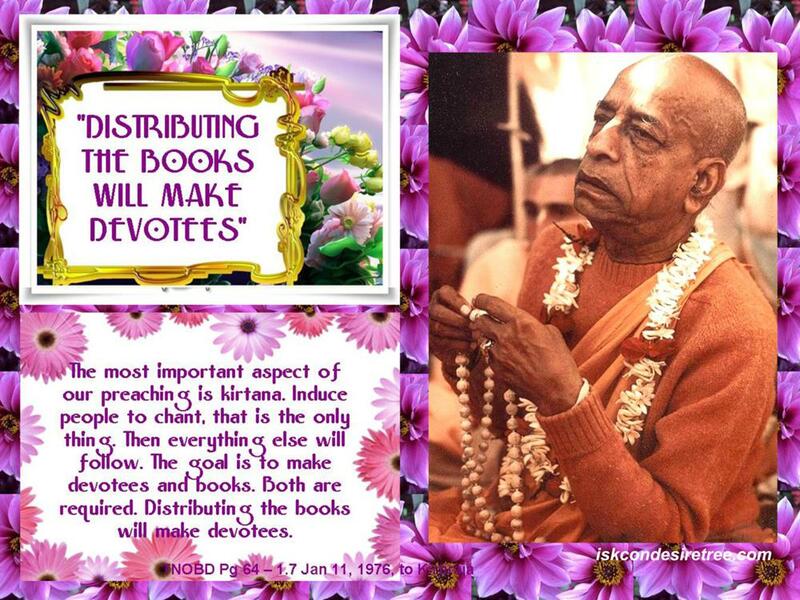 The goal is to make devotees and books. Both are required. 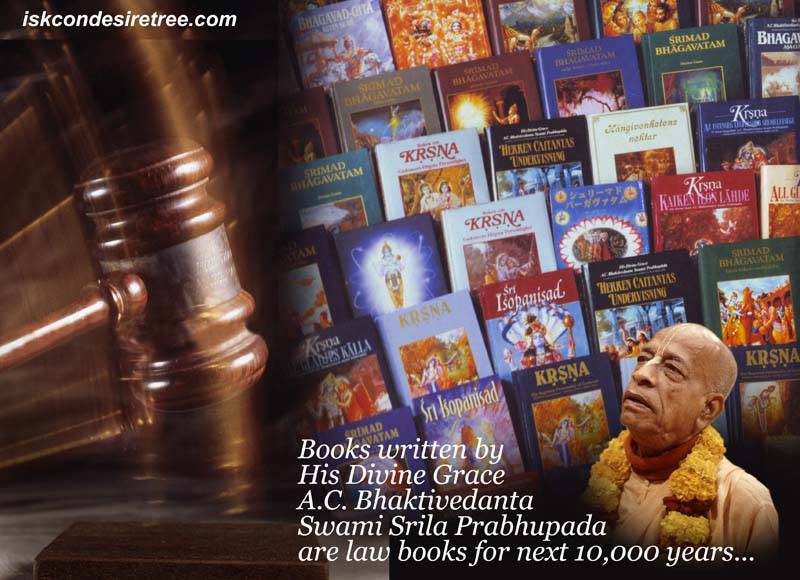 Distributing the books will make devotees. – TNOBD Pg 64 – 1.7, Jan 11, 1976.